Regular Loungers will know that the chairs we use for the Saturday Sessions, Lectures, etc., are showing signs of age and wear. (As are some of the Loungers, but we can’t do anything about that…) A few days ago we had to throw quite a few away (chairs, not Loungers). Julie jokingly mentioned a couple of weeks ago that for our 40th Anniversary (Saturday 18 November! 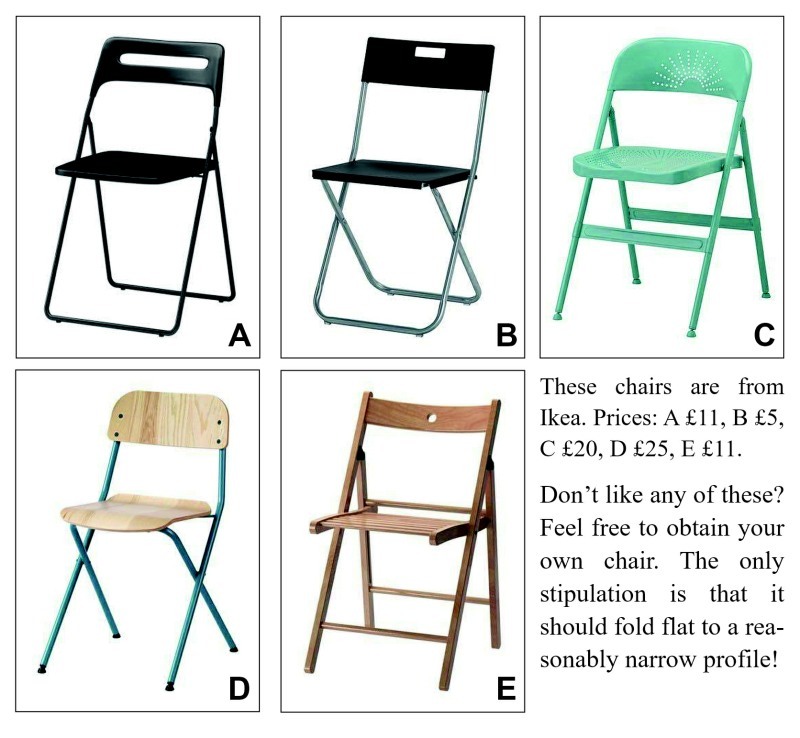 ), regulars could buy their own chairs, which we would label appropriately, or put their names on if they prefer. To our surprise this was greeted with enthusiasm and very little hilarity. We’ve done a little research and there are some suggestions above. We’ll be making a visit to Ikea in the near future (the things we do for our ‘customers’! ), so let us know if you want us to make a purchase on your behalf. As I said above, if you’d like to provide your own chair, feel free. Size is important so any chairs must fold flat, so no Game of Thrones replicas, Jared. Or the ones with the leather restraints… you know who you are.